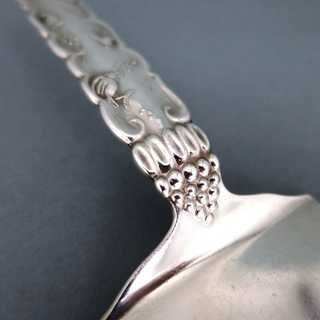 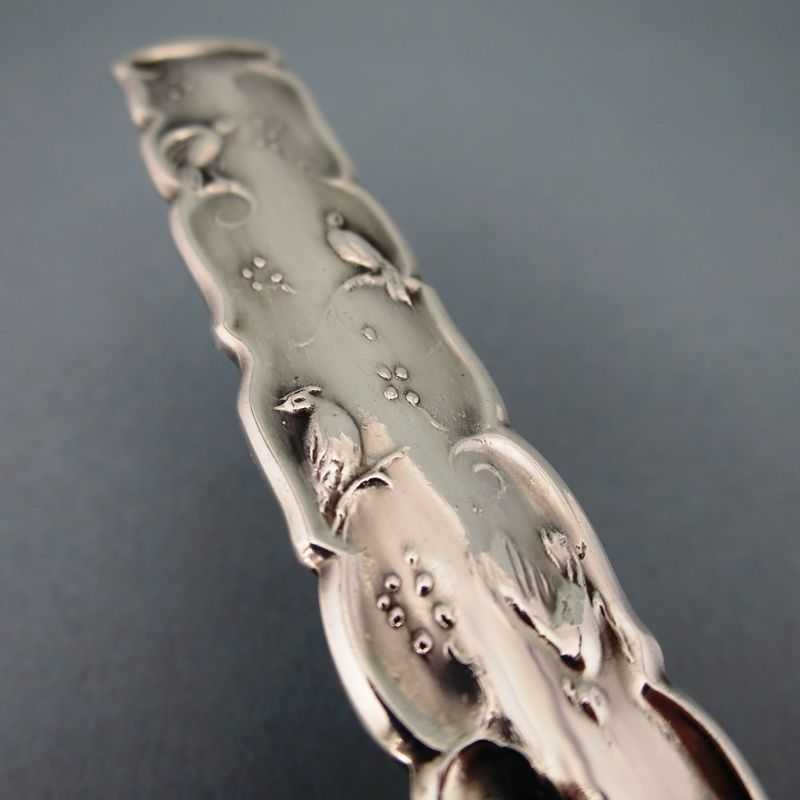 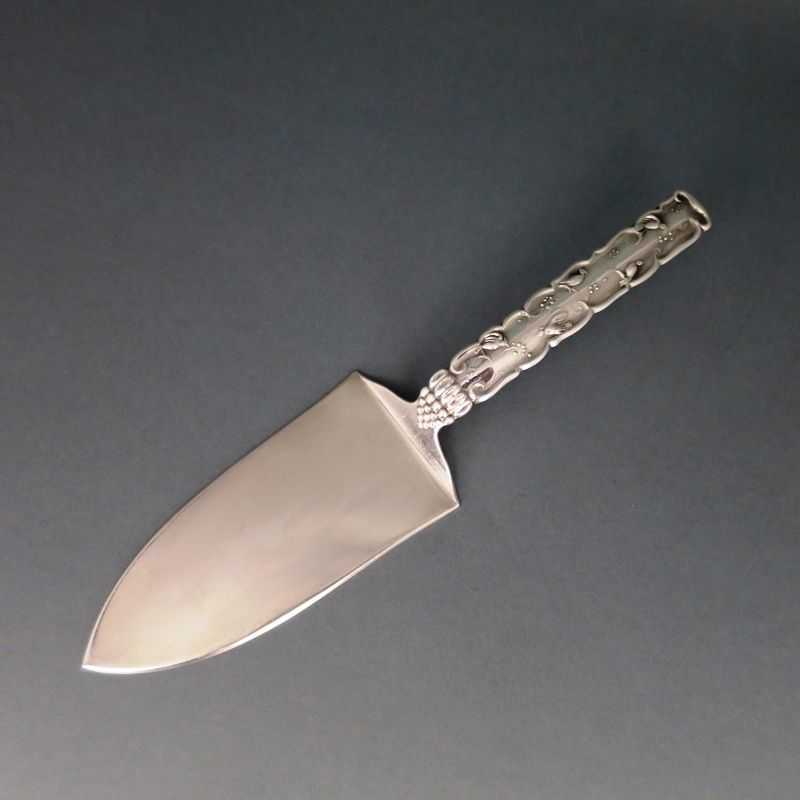 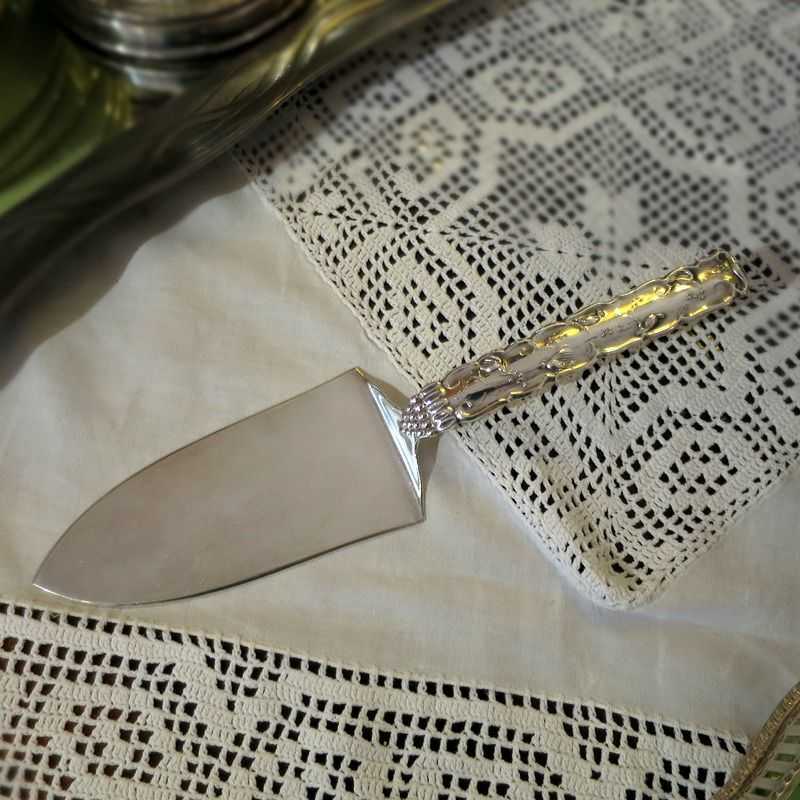 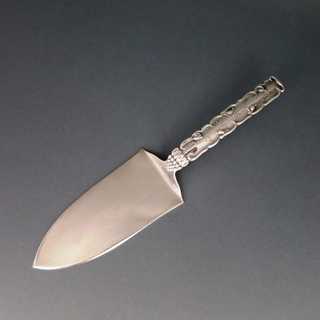 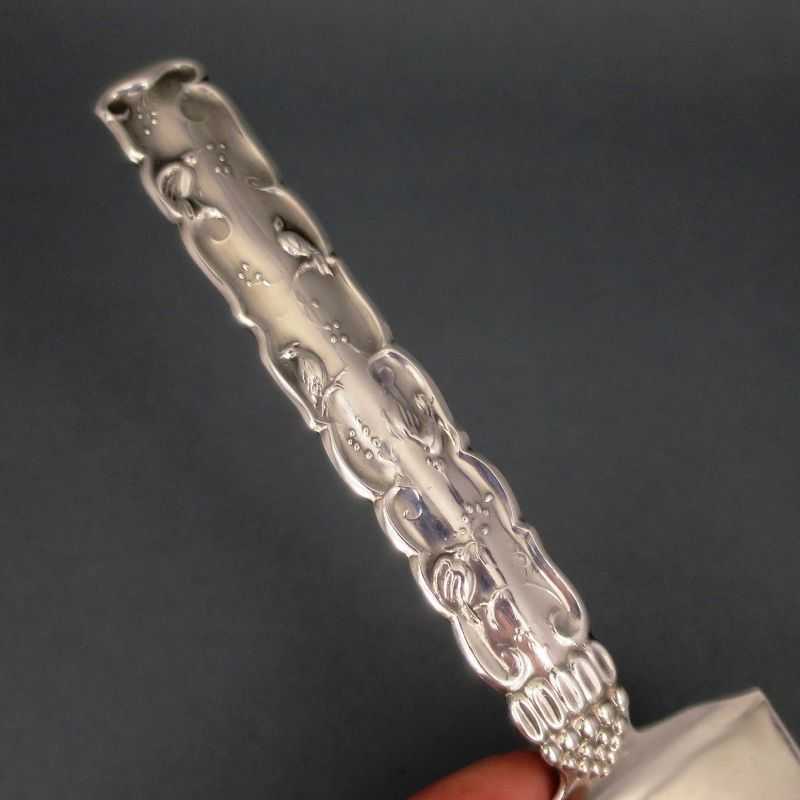 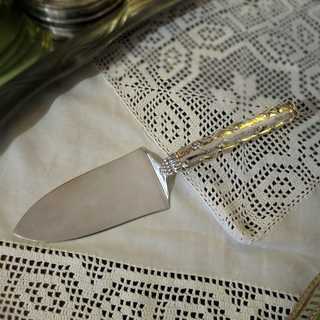 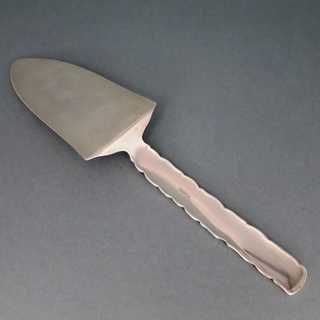 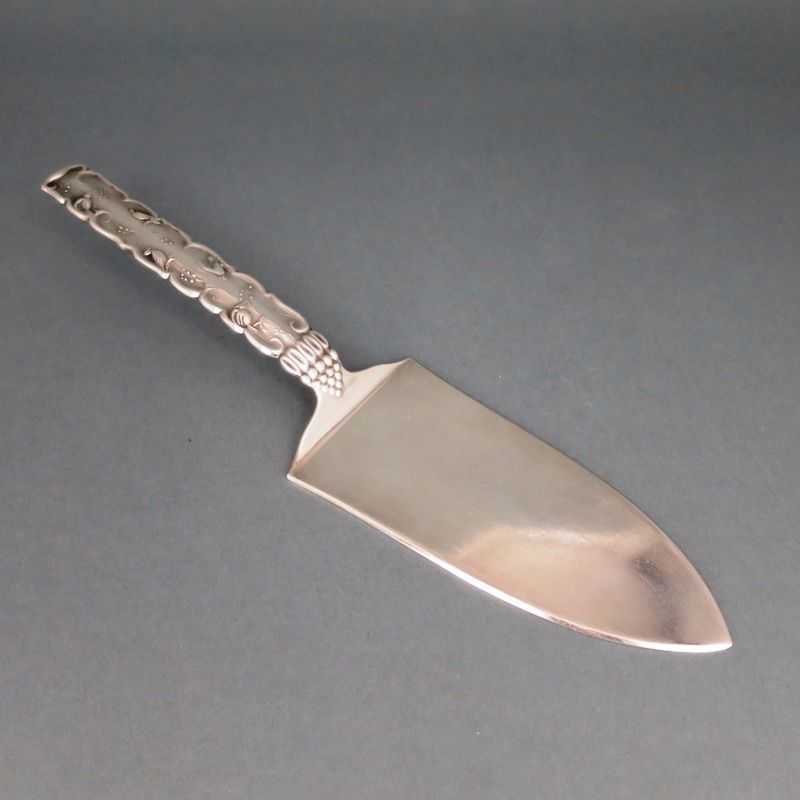 Beautiful shaped cake server from the Art Deco period. 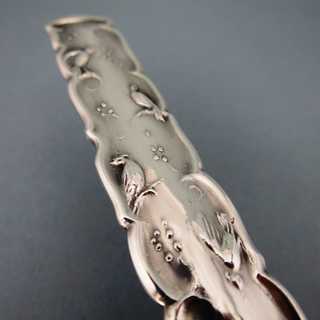 Clear shape with rich decorated handle: oblong rectangular, with scalopped rim and relief birds sitting on branches with fruits. 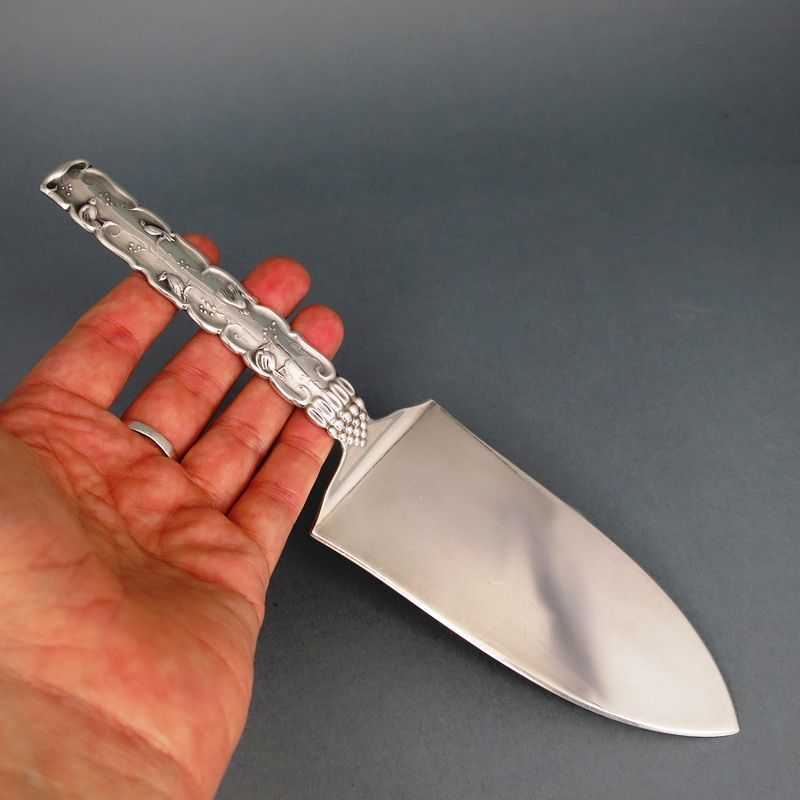 Grape-shaped handle base. 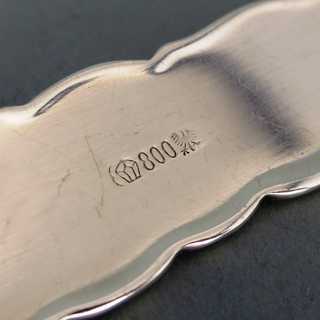 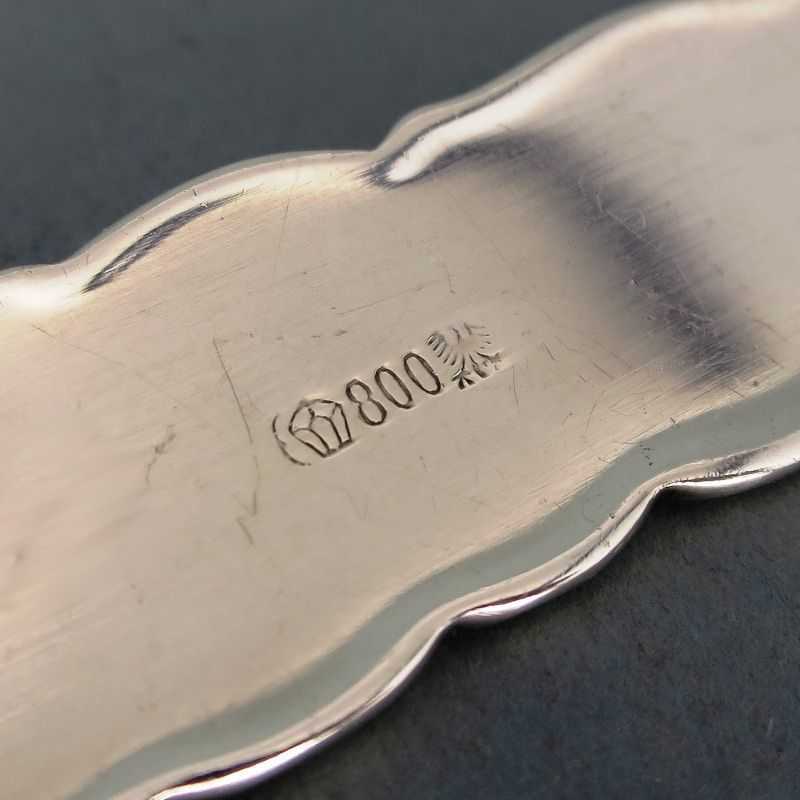 Marked, made in the silver manufactory of Bruckmann & Söhne in Heilbronn/Germany, about 1925.